It is the must-win-match for both the teams as whosoever wins will get a berth in the semifinals. India reached into the semifinal after defeated South Africa yesterday. England and Bangladesh are already there from the Group A. 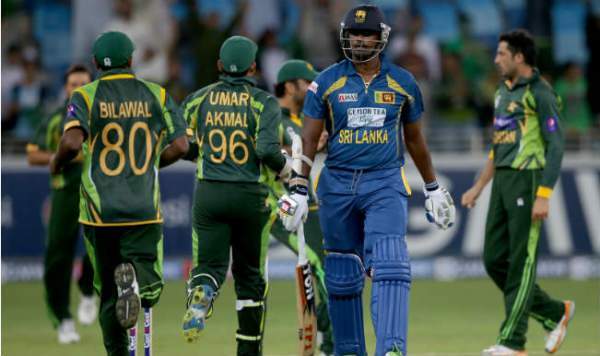 The competitors of the match, SriLanka, and Pakistan both won their respective matches. SriLanka defeated India while Pakistan won over RSA in a rain-ruined clash. It is going to be an important and interesting game to watch out for. So, stick around and bookmark. Following is a list of tv channels to watch Pakistan vs Sri Lanka online. They will telecast/broadcast as the match starts. Here’s how you can watch PAK vs SL live streaming and live cricket score. SriLanka team should win looking at the trends. Pakistan: Sarfraz Khan (capt. ), Ahmed Shahzad, Azhar Ali, Babar Azam, Faheem Ashraf, Fakhar Zaman, Haris Sohail, Hasan Ali, Imad Wasim, Junaid Khan, Mohammed Amir, Mohammed Hafeez, Shadab Khan and Shoaib Malik. Sri Lanka: Angelo Mathews (capt. ), Upul Tharanga, Dinesh Chandimal, Niroshan Dickewalla, Chamara Kapugedara, Kusal Mendis, Kusal Perera, Thisara Perera, Sekkuge Prasanna, Nuwan Pradeep, Suranga Lakmal, Lakshan Sandakan, Lasith Malinga, Asela Gunaratne, Nuwan Kulasekara.